You are here: Home / Offers in Compromise / Make Me an Offer! The IRS Offer-in-Compromise Program. 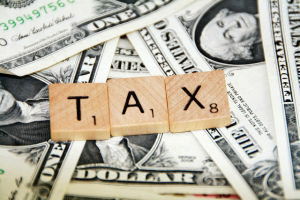 Offers-in-compromise are one of the most powerful tools in my arsenal to completely resolve a client’s back taxes. If you listen to the radio or watch television you must have heard ads talking about settling your tax debts for “pennies on the dollar”. What these national tax firms are talking about is the IRS offer-in-compromise program. An offer is simply an IRS approved settlement of your tax debts (to include interest and penalties). The IRS analyzes the offer based on a series of criteria and if the offer exceeds what the IRS expects it could collect from the taxpayer through enforced collection than it may accept the offer. Somewhere along the line people have gotten the notion that making an offer is like haggling over a car. Far from it. This is not “Let’s Make a Deal”. There are strict rules regarding how the IRS offer-in-compromise program works. The IRS holds all the cards here. It has almost absolute discretion on whether to accept the offer. That’s where knowing the rules can significantly improve your chances of resolving your IRS tax debts. This post is the first in a series about how the program works and how you can maximize your chances of a successful offer. To get started lets talk about the three types of offers-in-compromise. Offers as to doubt as to liability are used when there is a legitimate dispute between the IRS and the taxpayer about what is owed. A doubt as to liability offer can be used to settle the issue and avoid further litigation. To make the offer the taxpayer submits evidence to the IRS in support of his or her position. The IRS will then consider the evidence and the risks of litigating the issue before deciding whether or not to accept. Offers as to doubt as collectability are used when the taxpayer is unable to pay his or her taxes in full. This is by far the most common type of offer submitted. The taxpayer submits financial documentation to show that he or she cannot pay the tax debt in full. The IRS then will examine the taxpayer’s situation to determine his or her “reasonable collection potential”. If the offer exceeds the taxpayer’s reasonable collection potential than the IRS may accept it. Reasonable collection potential plays a large part in making a successful offer. I will spend some time in a later post explaining what reasonable collection potential (or RCP in shorthand) is. For now the best way to think about RCP is: how much the IRS could collect if it took enforced action against the taxpayer through asset seizures or wage garnishments. The more the IRS could seize of the taxpayer’s assets, the larger the offer will need to be. Offers as to effective tax administration are made for special circumstances where the taxpayer can pay the tax debt in full but where there is a compelling reason for the IRS to accept less than the full amount. For obvious reason, these offers are rarely granted. Normally, the IRS accepts these offers if the taxpayer is terminally ill, in a nursing home, or suffering from a long-term illness. In the next post I will talk about the process of making an offer all the way through from consideration to submission and on to acceptance or rejection. I will talk a bit about the nuts and bolts of making the offer, whether through a lump sum payment or periodic payments. My firm helps Maine taxpayers in trouble. If you or someone you know in the Portland, Maine area wants more information on whether or not you qualify for an offer-in-compromise, please feel free to contact me directly at 207-299-0515 or by filling out my contact form. A Maine tax attorney can help you consider your options.